On Camera, it has a 13 Megapixel primary camera along with 5 Megapixel depth-sensing camera and 8MP front-facing camera both have LED Flash. Packed with a 5000mAh battery. 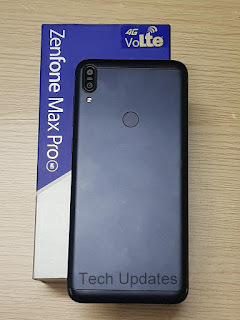 Asus ZenFone Max Pro M1 will be exclusively available in Lazada priced at Php 9,995. Pre-orders start June 8 with official availability on June 25.